How many times have you seen a fighter pull guard with a guillotine and fail to lock it up? Probably once or twice during every UFC fight card you have seen recently. Submission wins are on the decline—a statistical fact according to Fight Matrix, keeper of all that is mathematical and true. Every year since 2000 when more than half of all fights ended with a tap, nap, or snap, percentage points have dropped from that total. In 2013 only 38.5% of all fights ended via submission and at the halfway point of 2014 that number is down another percentage point. The simple answer is that it's far easier to learn submission defense than it is to perfect the art of winning without out-striking your opponent. 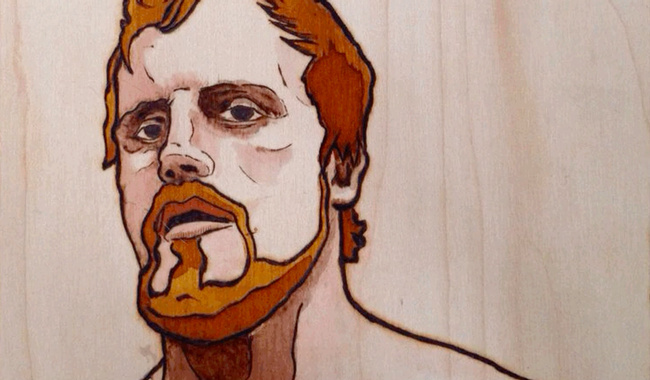 There is, however, a new kid on the block bucking the trend: Gunnar Nelson. The stoic young man from Iceland turns 26 in a few days, is undefeated in his MMA career, and is 4-0 in the Octagon. More importantly, three of those four wins are via submission. Gunnar Nelson is often compared to Lyoto Machida due to his upright, wide-legged karate stance and footwork. He also relies on baiting his opponents to attack, and then catching them with rear hand straight punches. Most impressive, though, is his killer instinct. Since his debut the BJJ standout has been patient on his feet, but when the fight hits the ground he is a relentless attacker with excellent elbows that slice open opponents and set up positional opportunities. Most recently, Gunnar Nelson made a statement at UFC Fight Night in Dublin against TUF 17 alum Zak Cummings. The tough Texan tried to make the most of his co-main event spotlight and bullied Nelson along the fence with a flurry of knees. Through the first round Nelson was subdued and it could have easily been scored for Cummings, but judges would be rendered unnecessary. After gauging his opponent for a round, Nelson took over the fight. He got Cummings to the ground and never stopped attacking. Immediately getting back control, he locked up a body triangle and went for the neck. With only 30 seconds on the clock, most fighters would have kept position and ridden out the round for points. Nelson instead kept his left arm seeking the neck while his right alternated shots to the ribs that bucked Cummings' legs and then expertly split open Cummings' nose. The ground strikes perfectly disrupted Cummings' defense, and Nelson locked up the choke. The bout was over with 12 seconds to spare. His emotionless approach to fighting only makes his success more fascinating. So many fighters enter the Octagon on a wave of adrenaline, screaming and flexing, caught up in the energy of the crowd. Nelson is another type of man. He is singular in his focus, having already put away up-and-comers and solid veterans. Next up is a crack at the top ten.